Photograph: The Carillon Tower viewed looking over the James River. 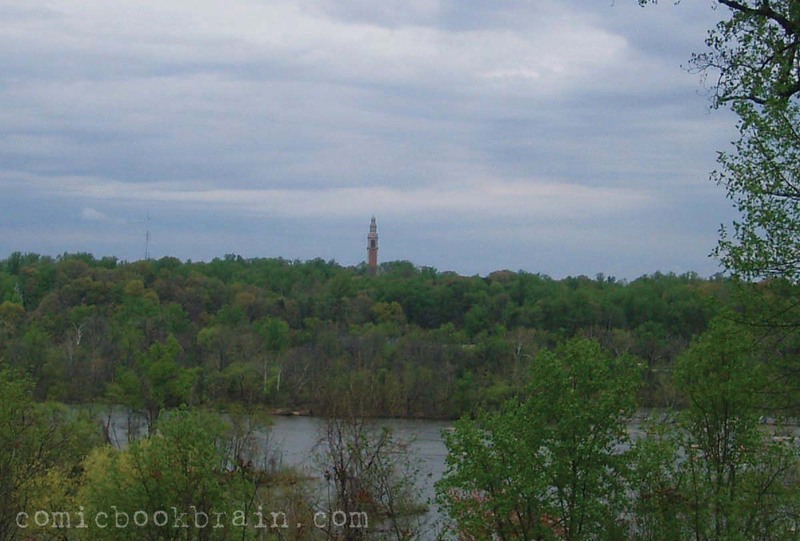 The Carillon Tower at Byrd Park near Maymount, seen from across the James River, from Riverside. April, 2008.